OFFSHORE ACCOUNT Berg’s attempt to frame the BP tragedy as a life-affirming tale of heroism proved a disaster at the box office on its opening weekend. 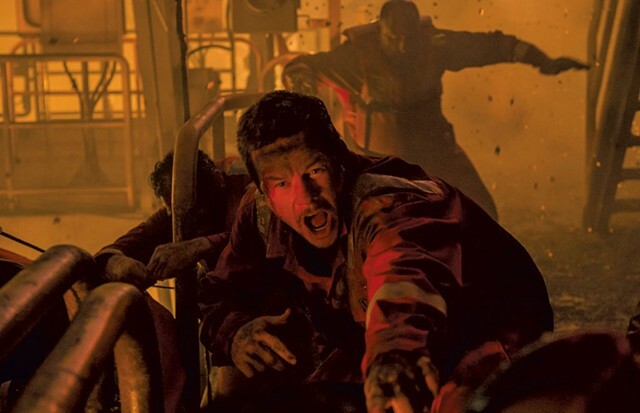 "I'm structuring this film almost like this tragic sort of poem," said director J.C. Chandor (Margin Call) in 2015, referring to his new project, Deepwater Horizon. He's a gifted filmmaker with a penchant for stories in which corporate greed leads to disasters that affect large numbers of people. Chandor realized the tale of the 2010 BP oil spill was tailor-made for him. Too bad he never got to tell it. Here's what happened: Lionsgate decided it wanted to get into the blockbuster business. To its credit, the studio chose not to go the usual route when it plunked down the big bucks — movies based on comic books or other popular properties. Instead, executives risked $150 million on an adaptation of a New York Times article. That took balls. As did hiring Chandor. He's not an action director. He's an auteur with a knack for making the complex comprehensible. Adapting the Times piece about the disaster with David Barstow, one of its cowriters, he oversaw the construction of a replica of the BP rig and the creation of a tank so enormous it took a week to fill. He also hired an ensemble cast to depict the tragedy "[from the perspective of everyone] that was on the rig," he told Collider in 2014. That last part lost him the job. Once Lionsgate saw footage Chandor had shot, the suits apparently lost their nerve and decided that a star-driven story about one crewmember's heroism would be an easier, safer sell. And less likely to get them sued. Enter director Peter Berg (Battleship). And safe is how the filmmaker plays it, from opening scenes of technician Mike Williams (Mark Wahlberg) horsing around with his wife (Kate Hudson) and young daughter, through the rote bit with John Malkovich as a BP baddie who ignores concerns about equipment, to the special effects-fest that is the film's final hour. If you've never seen movie explosions before, you're in for a treat. Otherwise, you've got lots of hard-to-follow, poorly lit, very loud chaos to look forward to, and little more — besides Williams helping a handful of coworkers to safety while the rig is swallowed by CGI flames. He's a hero. Only there was so much more to the story of the spill — its cause and aftermath — that his part is really little more than an asterisk. I suspect Chandor would've dug deeper. There was plenty of blame to go around, beginning with BP's alleged corruption: The rig had recently found the second-largest reserve in U.S. history; the company couldn't afford to fix a few things? Then there's the crew itself. The next suggestion may sound sacrilegious, but read the 2010 Times article. Much of what went wrong resulted from the actions of the people onboard. And the government's response — as well as its follow-through — has been its own brand of disaster. How it could be that, following the worst ecological catastrophe in U.S. history, Congress hasn't passed new safety legislation for the petroleum industry? Berg's movie doesn't raise such uncomfortable questions. He's probably as happy about that as are the suits at Lionsgate. Not to mention the ones at BP. Deepwater Horizon, and Deepwater Horizon: The 2D Experience are not showing in any theaters in the area.